In this post we will explain 'Online Start Times' option (under Settings/Scheduling Rules) and the difference between automatic and manual modes. 'Online Start Times' option is there for you to easily customize your online appointment scheduling start times, and tweak it to your business needs. Let's say, for example, you have a service called 'Massage Package 1' and duration of that service is one hour long. 1. 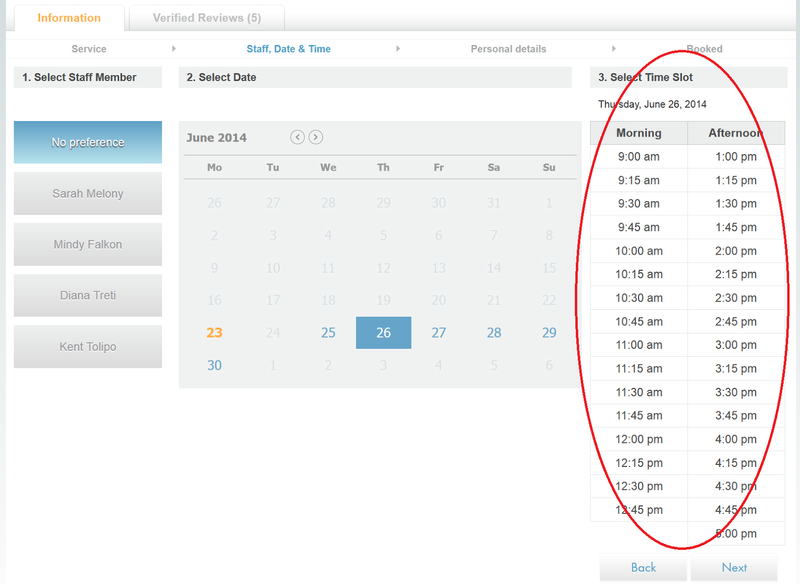 Let's start off by taking a look at the 'Let BookSteam calculate online appointment start times Automatically.' option below. 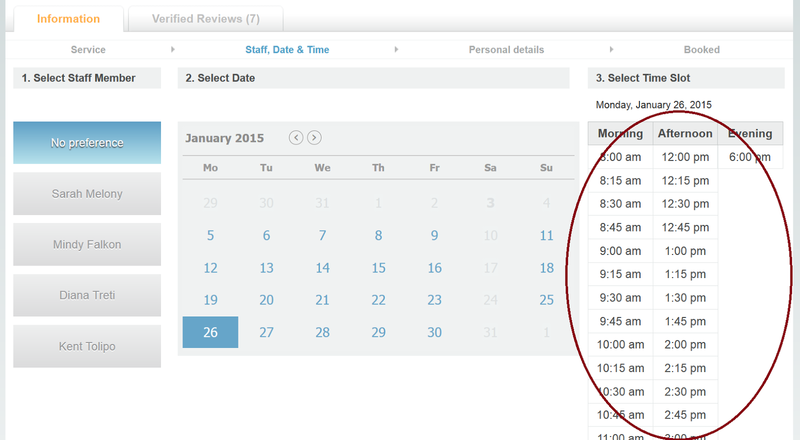 Once Automatic option is selected, when your clients book online, they will see 'Massage Package 1' in one hours intervals, BookSteam will automatically assign appointment slots for you, see example below. 2. Now, let's take a look at the manual mode below. If you select 'Online appointment start times are set to every 15 minutes', when clients book online, they will see 'Massage Package 1' start every 15 minutes, and will be able to select any start time, see example below. In the manual mode you can make appointments start every 15,20,30,60 minutes depending on your business needs. We hope that it was useful to you, and thanks for choosing BookSteam online appointment scheduler !